Representatives from the United States Postal Service (USPS) met with community members Thursday night at University Church to discuss the possibility of closing the University’s main post office. The Finance Station U Post Office (FSUPO) was one of 3.5 million post offices identified by USPS because it brought in less than $600,000 in annual revenue last fiscal year. Community members and students in attendance argued against closing FSUPO, which is located behind the Barnes & Noble bookstore, pointing out that it attracts long lines and has a convenient location. Postal workers were also among those who defended the office. If FSUPO closes, nearby stations such as the Lake Park Postal Store or the Jackson Park Post Office will take over its services. Once a decision is made, the public proposal will be posted at FSUPO for 60 days. Community members argued that the University wouldn’t be able to operate with a post office farther away. “Imagine if you had [postal workers] being called to come and pick up out of all of those University buildings,” Hyde Park resident Gary Ossewaarde said. Speakers from the USPS assured the audience that the decision to look at closing post offices was a last option. One alternative under consideration would be to close FSUPO and instead open a “village post office” out of a retail store offering P.O. Boxes, shipping services, and stamps. The USPS uses its own profits as incentives for businesses to open village post offices out of their stores. If a village post office route is opened, zip codes will not be affected. “Ultimately our solution has to be one that allows us to remain fiscally successful,” Donald Nichols, Executive Manager of Post Office Operations, said. Nichols assured the audience that no jobs will be lost if the FSUPO closed. “There is a plethora of savings that are well beyond what is paid to the contractors,” Nichols said. 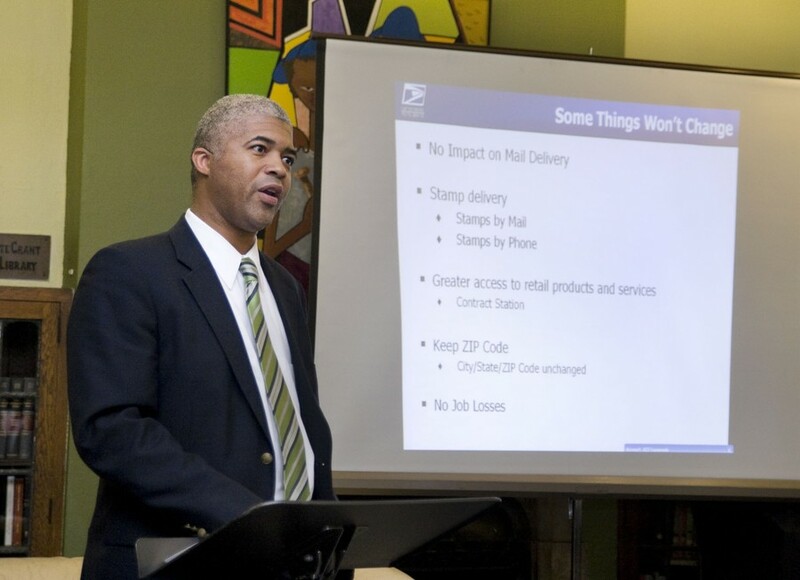 Shank said that the USPS’s budget shortfall was serious, citing figures showing that annual mail volume has gone down by 42.5 billion pieces since 2006, while annual retail revenue fell $2 million compared to 2006.